What's The Worst Automotive Misnomer? 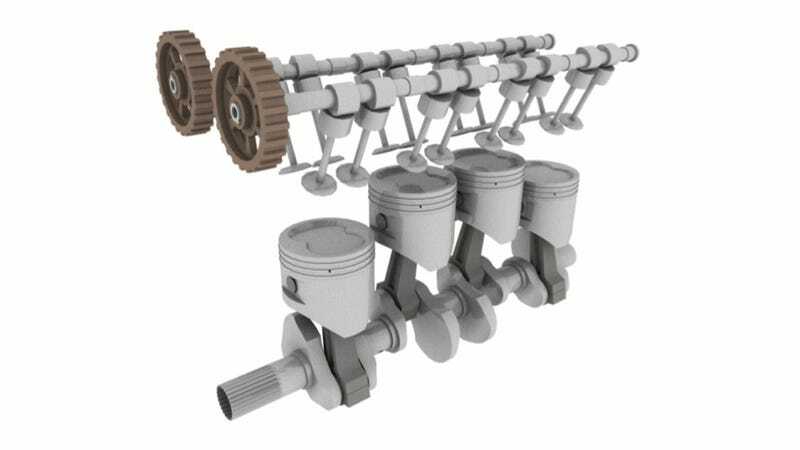 What you see above is a diagram of a four-cylinder engine. It is not a V4, it is not an H4, it is not a Z4. I-4, inline-four, or even simply a "four-pot" is just fine. Those four pistons are all in a row. So the next time someone calls it a V4, I'm just going to punch myself in the head. I don't mean to get down on people who don't know the difference, because hey, we're all learning in this big wide world of ours, and other things. But I've heard the "V4" engine configuration misnomer so many times it's starting to grate. I do totally understand where it's coming from, however. Most engines these days have their cylinders arranged in V-configurations, what with V8s, V6s, V10s, V12s, and the like. If your car has four cylinders, well then it must be a V4. But as history would have it, V4s are actually pretty rare in automotive applications. There was the original Ford Mustang concept, a few early Lancias, and Porsche is using one in their new Le Mans contender, the 919 Hybrid. In reality, when someone tells me their car has a V4, I just try to gently correct them, because I'm a jerk like that. Forgive me though, because it just drives me nuts. What do you think is the worst automotive misnomer? Let us know in the comments below!